Electronics Costs > How Much Does It Cost to Repair an Xbox One? How Much Does It Cost to Repair an Xbox One? The Xbox One, like many electronics, is bound to fail at one point, especially is consistently being used for games and movie watching. While most of the repairs can be fixed on your own by following how-to guides on YouTube, some often would rather avoid the stress and let the professionals handle the job. Whether it’s Microsoft or a third-party professional, the costs will vary greatly depending on the type of repair required. 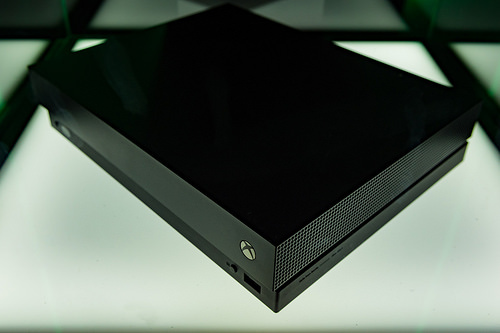 The costs to repair your Xbox One will depend on the type of repair required, the professional you choose and if your Xbox One is still under the manufacturer’s warranty. The most common repairs, from what we researched, was often repairing or replacing the console’s hard drive, HDMI port pins or the CD tray if you were to hire a third-party source. If you were to send the Xbox directly to Microsoft outside of warranty, which, most people often do, then Microsoft will charge a flat $115 to repair the console, regardless of the repair. However, if Microsoft deems the repair is due to a manufacturer defect and your console is outside of the warranty, then there is a good chance they will cover the entire repair, according to some reports we read online. While optional, Microsoft also offers a service, known as “advance exchange,” which will cost an additional $15 plus a $400 hold fee. Again, this is optional, but it allows Microsoft to send you a refurbished unit right away, with some people reporting receiving their new Xbox in as little as two days. NOTE: These were quotes from third-party sources, not Microsoft. As mentioned, Microsoft will charge a flat $115 for all out of warranty repairs. ubreakifix.com, for example, stated on its official pricing sheet that it would cost $129 to repair the disc drive, whereas GamersRepair.com charged $99. If your console is under warranty, then you will first want to make sure your Xbox is registered under your Microsoft username. If you’re unsure, you can do so here. Once registered, you can then click the “request repair” button, where it will then ask you a series of questions, such as the problem and your contact information. After you input the information, Microsoft will then give you a series of options, ranging from simply fixing the problem or replacing it with a refurbished one. These options can change, however. When the information is received, you will then receive a service order number and an order confirmation email that has the shipping information. You will want to make sure you ship your Xbox in as soon as possible because if you don’t ship within the 30 days from submission, the order will be canceled and will no longer be valid. Once the package is received by Microsoft, you will then be able to track the status of the repair by clicking on the “order status” tab on this page. If you do send your Xbox to Microsoft, they estimate the total time to be anywhere from two to three weeks. If you paid with a credit card, there could be a good chance the card has warranty benefits, which will extend the warranty past the manufacturer’s warranty rules. Talk with your credit card or read the fine print to see if your purchase qualifies. Attempt to repair the Xbox before sending it in. Amazon.com, for example, sells complete repair kits for less than $10 and almost every issue can be diagnosed by following a Youtube video or following an ifixit.com guide.